Pick The Right Stroller Without Obsessing! 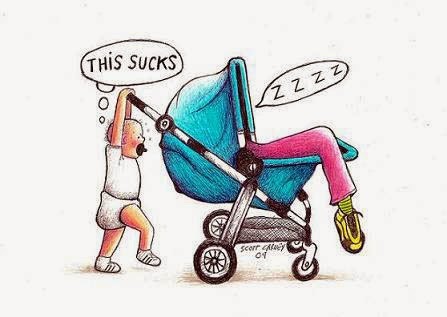 For a new mom picking the right stroller can be overwhelming not to mention expensive. The sales pitch will have you deliberating between strollers of all shapes and sizes. How do you choose between all the bells and whistles from smart phone to latte holders and various pockets that organize all your needs? And of course, the price will leave you wondering if you have just been bamboozled. In the process of wanting the very best for our new bundles of joy, our real needs go out the window right along with our money. We forget that the practical aspects of our lifestyles and city living in particular, goes far beyond the new must have stroller or dream accessories. To help you navigate through the wonderful world of strollers, here are 5 important things to remember when picking the right stroller. 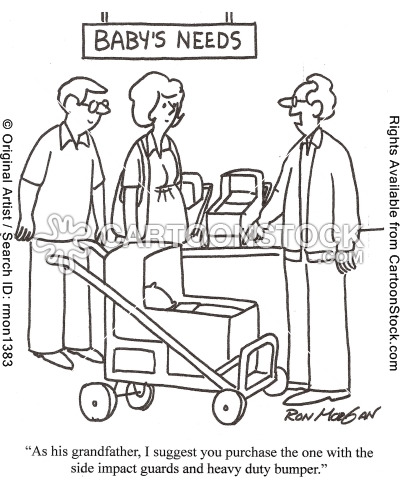 Usage: are you going to use the stroller on public transportation (subway or bus). If so, can you carry the stroller and baby up a flight of subway or bus stairs? Case in point: as much as we would love them to say small, babies get heavier over time and are unable to negotiate stairs until 18 months old. Ease of folding: can the stroller fold easily with baby in one hand. Remember as women we carry not just the stroller and baby but our pocketbook and/or diaper bag as well. Height: if you and your partner have more than 6 inches in height difference does the stroller have adjustable handles. Footprint: how much space does a folded stroller occupy in closed quarters? Maneuverability: can the stroller lock, unlock and make tight turns? Can wheels transition from pavement to grass? When it comes to picking the right stroller use your heart as well as your head, you can always personalize your stroller to meet your unique style after making the smart functional choice! Need help picking the right products for you? Schedule an appointment for my P3 Method Pregnancy Program and we can do some custom shopping together. 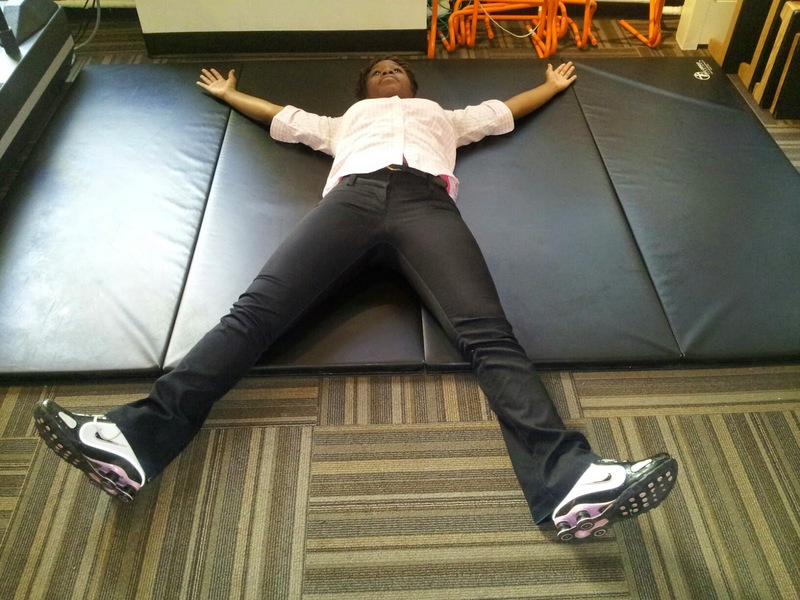 As a physical therapy aide I have witnessed many amazing recoveries and learned more exercises than ever imagined. Manual therapy is only half the battle toward eliminating weaknesses and rebuilding strength. 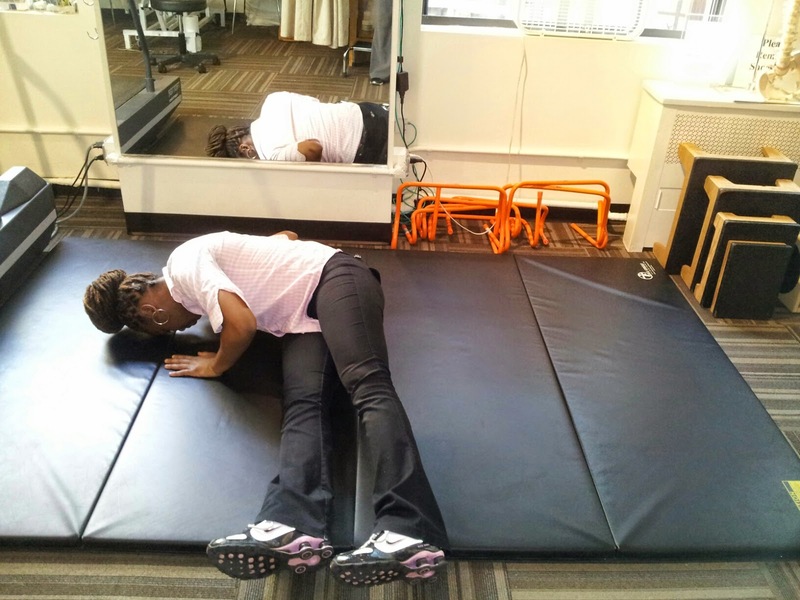 Individualized exercise programs allow patients to be involved in their recovery, by not only re-gaining their range of motion but also their confidence. Patients discover their limits through exercise; and with assurance begin to push those limits. They also learn the importance of self-motivation, which can make for a gradual, yet positive recovery. It is especially important to your overall recovery that your individualized exercise program is followed because it helps your therapist to see your progress. This plays a role in whether your program is modified or kept the same. For me, these exercise programs have served as a platform for learning. There is no one exercise that serves one purpose; they can be used for the affected area directly and indirectly. I can have two charts in my hand with the same exercises but chances are they will be for two different body parts. My job doesn’t just involve watching, it also includes engaging, correcting, explaining and reassuring the patient that it will be beneficial to their recovery. Since being at Duffy & Bracken I have been given the opportunity to extend my dance knowledge. During my studies as a dance major I learned invaluable techniques for maintaining my flexibility and strength. No, I can’t twist into a pretzel or lift my leg all the way to my face, but who wants that anyway! The lessons I learned have helped me maintain a healthy balance of strength and flexibility. Here are a few dance techniques that I have been able to incorporate into some of our patients exercise plan. These are considered basic foundations of movement, yet it can be difficult for some to execute. X-Roll: Begin lying down on a flat and firm surface in an X shape. KEY 1: Everything is relaxed! Next, allow the right (or left) fingertips to lead the arm across the front of the body diagonally up to the left side, allowing the back to spiral. KEY 2: Nothing else except the arm and back should be moving at this point! Continuing this path, you engage the abdominal muscles, which will assist you in rolling over onto your stomach. KEY 3: Your legs are just coming along for the ride, leave them be! THINK: I’m Melting! You want your body to “melt” into the floor as you roll all the way onto your stomach, circling the opposite arm above the head so that you may create another X shape. To go back, refer to KEY 1, except you are leading with right (or left) toes! This time everything above the legs follows behind. Body Half: Again begin in a relaxed X shape. 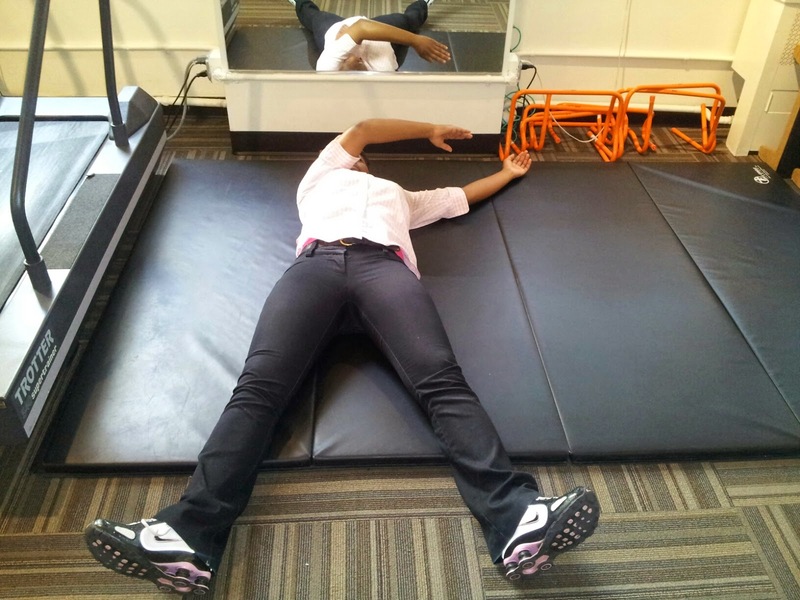 In this position we want to initiate movement from the head, elbow and knee of the same side. Head and elbow moves down as the knee moves up, creating a side bend. KEY 1: The opposite side is completely relaxed! To return to the X shape we simply initiate with the fingers, top of the head and toes to stretch back out. Simple enough right? Now give it a try on the other side! Head Tail: Begin in a seated position on the floor with the legs outstretched in front of you. Legs and arms are relaxed, but the back is straight. Initiating from the top of the head, allow the head to drop to the side (Think: ear to shoulder). KEY 1: Do not control the head drop! Allow the full weight of the head to bring the torso along for the ride. Before hitting the mat, quickly catch yourself with your hands and push back up, creating a rebound. Now repeat on the left. 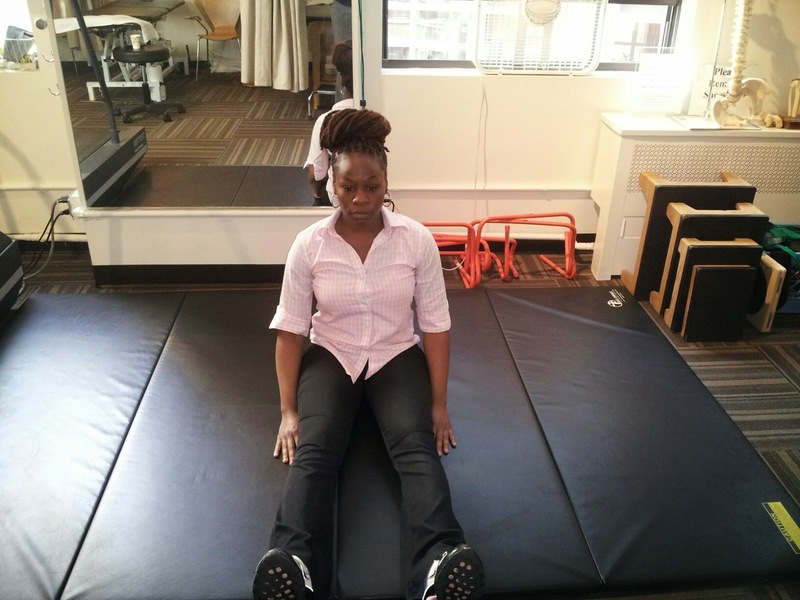 The goal of this exercise is to increase spinal mobility as well as learning to weight shift. By relaxing the head and spine you allow for more range of motion to be met while doing this exercise. These movements are as effortless as rolling out of bed (literally), but with limitations it can be taxing on the body. It is for that reason we stress the importance of exercise during AND after recovery. Listen to your body! An exercise program loses its effectiveness if you fly through it. Understand and continue to internalize the “kinks” that you may notice. If you are still in PT let your therapist know and together changes can be made. If you’re a past patient call us to schedule a Functional Movement Screen (FMS) so we can prescribe an exercise plan for you to keep you active and pain free.